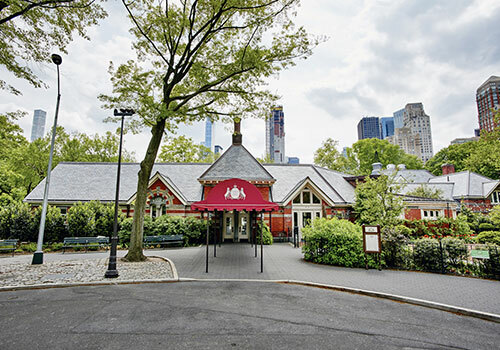 Tavern on the Green restaurant was built in 1870 as the Sheepfold for the flock of sheep who grazed on the adjacent Sheep Meadow. In 1934 it was turned into a restaurant, which has seen many different owners and images in the past 80 years. After a two-year restoration, the restaurant re-opened on April 24, 2014. For more information or to make reservations, please visit the Tavern on the Green website or call 212.877.8684.